A great looking and user-friendly design for portraying a professional image to your visitors and potential customers. With a lot of powerful features, Chilli will definitely satisfy you when using it. 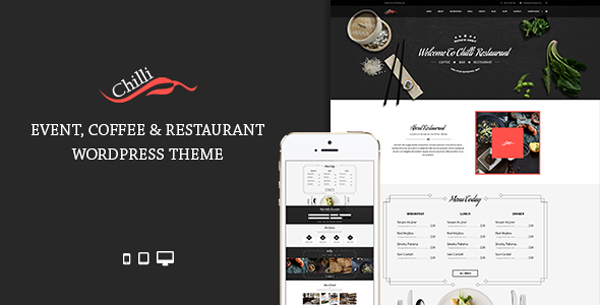 The theme has all features that a Restaurant Theme must have, especially Food Menus, Reservation with OpenTable and custom form supported, Mega Menu, Event Management, Gallery and many more. All of them are completely easy to launch within a single intergrated interface.